Arsenal will look to book their place in the knockout stages of the Europa League with a win when Sporting Lisbon arrive at the Emirates on Thursday night. The club have provided a full team news and injury update ahead of the game with the latest on Nacho Monreal, Sokratis, Mohamed Elneny, Laurent Koscielny and Dinos Mavropanos. Monreal has missed Arsenal’s last five matches in all competitions since suffering a hamstring injury in training on the eve of our Premier League clash with Leicester City towards the end of last month. However, the full-back has returned to light training and will be assessed ahead of tomorrow night’s game. 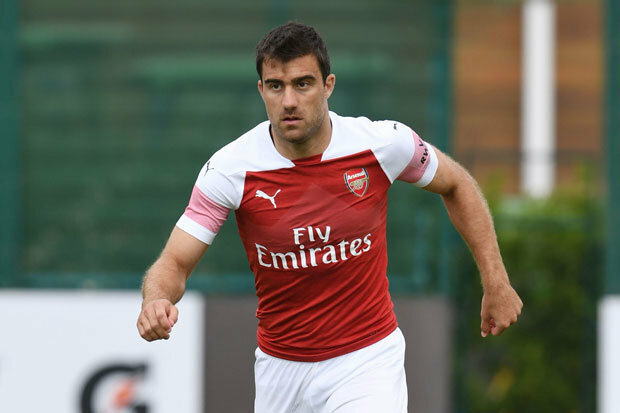 Sokratis sat out the recent league games with Crystal Palace and Liverpool after aggravating a niggling ankle injury but the Greek international has stepped up his recovery in training this week and will also be assessed ahead of the visit of Sporting. There was also positive news on Elneny as the midfielder is expected to resume full training next week as he looks to recover from a thigh injury but the Egyptian international won’t be involved in the Europa League on Thursday. Koscielny is obviously still unavailable as he’s continuing to work his way back to full fitness from a serious Achilles injury while fellow centre-back Mavropanos is still nursing a groin injury. Arsenal are unlikely to take any risks with Monreal or Sokratis so I don’t think either player will start tomorrow night. We head in to the game sitting top of Group E – three points ahead of Sporting – so victory would secure qualification to the knockout stage as group winners. Arsenal had greatly improved against Unai Emery.